It’s no secret that investing in real estate can be one of the wisest decisions you can make, one that can increase your net worth and make you more financially secure. But an increase in net worth and financial security is what everyone is seeking, and if it were so easy then everyone would be doing it. Indeed, the reason it can be so profitable is because not everybody can do it. It takes intelligence. If you’re thinking about investing in real estate, make sure you’re asking yourself for the following questions. 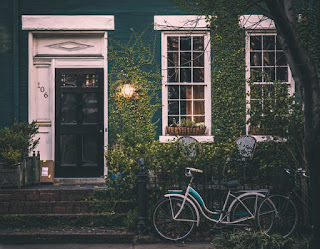 Yes, you might be able to see the long term potential of a property you’ve identified as one you would like to buy, but you’ll be causing yourself much trouble if you don’t already have your finances well under control. Investing in real estate is a massive financial commitment, so it’s essential that you’re not stretching yourself beyond your means by even an inch, no matter how tempting the deal might be. When it comes to investing in real estate, you could say that the first thing to determine is less the property itself and more its location. You might know everything to do with properties, but if you don’t know anything about the area of the property then you’ll be at a severe disadvantage. A house can be as good or bad on its own merit, but if it’s in a poor location or doesn’t have strong transport links or nearby schools then there’s every chance no one would want to live there in the first place. Similarly, it’s important that you keep an eye on the real estate market trends - both going back and looking to the future. It’s important to actually analyse the house prices, too, and not just pay attention to the percentage of house increase or decrease. A market can have been depreciating and still have a prosperous future, and vice versa. This is the tricky park, where some people fail. It’s always important to keep in your mind that there are always risks to investing in real estate. Even the most stable looking real estate deals can fail; you only need to look back to the financial crisis to see that. Be especially cautious if you’re looking to invest in a city/area that has been designated as being in a bubble, which means prices are currently at risk of being unsustainably high. Do You Know What Renters Want? Finally, if you’re buying your property to rent out then it’s really important that you’re looking at properties that potential renters might want, not what you yourself would want from a home. If you’re buying a property that will most likely be rented by families, then choosing a house that has an obviously student or dated decor will not be attractive to the types of people you’re trying to attract, for instance. Think with them in mind, not yourself.